Weekly traditional camp is offered for children 2 years through 10th grade with arts & crafts, sports, free swim, swim lessons and more! JCC Sports Camps: Imagine a summer full of splashing in the pool, playing gaga and creating amazing crafts. Camp J at the Jewish Community Center invites your kiddo to join us for our “Summer Vacation” Camp June 10 – August 9. Weekly traditional camp is offered for children 2 years through 10th grade with arts & crafts, sports, free swim, swim lessons and more! Each week, camp will be centered around a theme that takes campers through different places and environments such as the arctic, rainforest and the beach. Children 2 years old receive private swim lessons twice a week, children 3 and 4 years old receive group swim lessons three times a week and children in Kindergarten through 3rd grade receive group lessons daily. 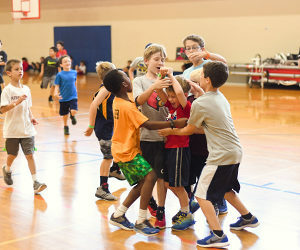 Specialty camps are also offered which include: LEGO, Basketball, Chess, Cooking, Theatre and many more (this year we’ve even added flying drones)! All specialty camps enjoy a daily swim. 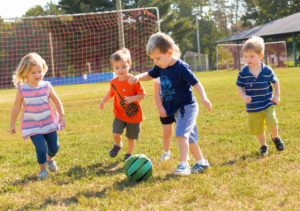 We believe that all campers can participate, all campers can succeed and all campers can make a new friend. Our Yachad program integrates children with special needs fully in our regular program. We also offer a special unit for preschoolers transitioning into Kindergarten. The beautiful JCC campus includes two outdoor pools, baseball and soccer fields, basketball courts, as well as indoor gymnasiums, auditorium and more! Visit our website for more information on all camps, grounds and staff.